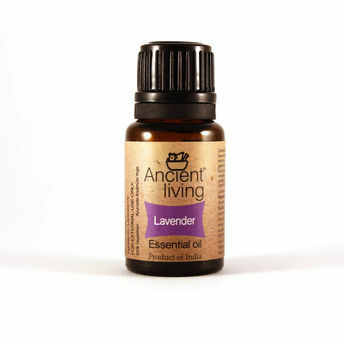 Lavender oil has a light fresh aroma that has a soothing and calming effect on the nerves. Widely considered as the gateway to aromatherapy, it greatly balances the body and soul. Its wonderfully calming and genuinely soothing. Lavender essential oil is one of the most popular and versatile oils used in aromatherapy and it deserves its reputation. It has such a wide range of healing properties, it is suitable for use with babies, children and pets and is one of the few essential oils which is safe to use undiluted on skin. It is very good for calming and balancing strong emotions such as panic, frustration, anger and nervous anxiety. Analgesic, antiseptic, antidepressant, antiviral, decongestant, hypotensive, sedative, tonic, insect repellent. Improves concentration because of its ability to stabilize mood and reduces anxieties. Soothing and calming effect on the nerves, relieving tension, depression, panic, hysteria and nervous exhaustion in general and is effective for headaches, migraines, tense muscles and muscle spasms. In vapor therapy, it can be useful for dizziness, sleeplessness (also in children), fear, nightmares, and irritability. Can be used in a vaporizer to help kill germs and promote healing to respiratory infections and to boost the immune system. Lavender oil diffusing, inhaling, and rubbing on the nasal passages and around the chest areas have provided relief for minor asthmatic symptoms and bronchial spasms for some. Excellent for treating scars, wounds and burns and relieve eczema and psoriasis. Promotes growth of new cells and is very helpful in treating acne.